I experiment with stoneware and earthenware clays to make tactile, useable crockery and rustic garden pots. 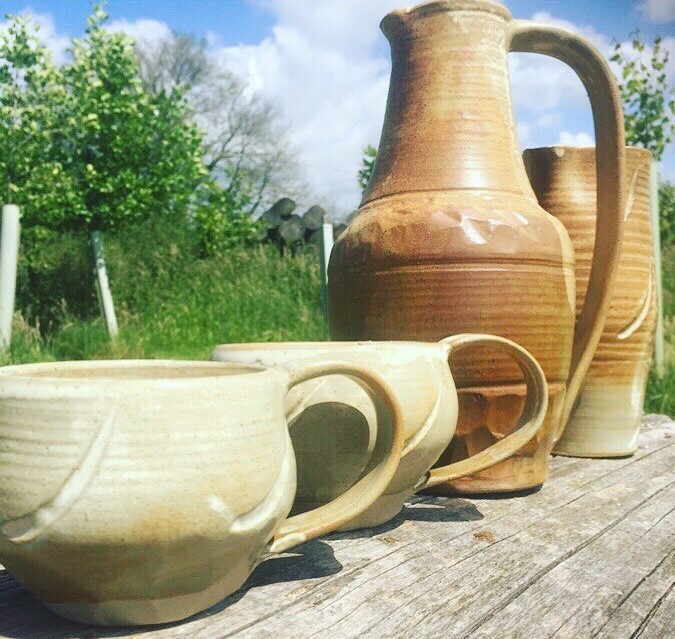 I have a love of storytelling and enjoy illustrating pots with folkloric creatures set against the tones, shapes and textures inspired by the woodland around my pottery. It’s important to me that my work is inviting to touch and comforting to hold with a natural, earthy feel that complements the food and flowers they’re used for.